We are a unique name in the industry to provide our prestigious clients an exclusive range of Sillimanite Powder. 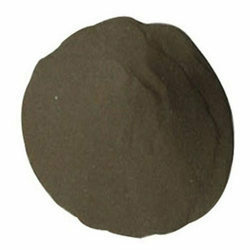 Sillimanite Powder for using in Investment Precision Casting Industries. Contact us, if in case you are looking for preeminent quality Sillimanite Powder! 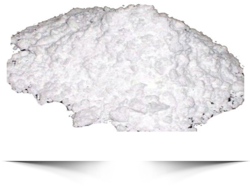 We are a known personality as Manufacturer and Supplier of Sillimanite Powder from Rajasthan, India. The Sillimanite Powder that we deal in stands out of the rest on counts of quality, reliability and performance. - Used in manufacturing spark plugs, lining material, etc. We are a well-renowned organization in the industry to provide our patrons the best quality array of Sillimanite Powder. We can supply you silllimanite powder use in refractory, foundry, ceramics and chemical industries. To satisfy our clients with all the required chemical products, we offer one of the most excellent quality Sillimanite Flour. Sillimanite is one of three Alumino-Silicate Polymorphs, the other two being Andalusite and Kyanite. A common variety of Sillimanite is known as Fibrolite, so named because the Mineral appears like a bunch of fibers twisted together when viewed under thin section or even by the naked eye. Both the fibrous and traditional forms of Sillimanite are common in Metamorphosed Sedimentary Rocks. We deal with high quality Sillimanite, with the lowest percentage of impurities. The overall use and demand for Sillimanite group minerals has increased steadily throughout the world over the past few decades. Supported by trained personnel, we are readily instrumental in presenting a comprehensive spectrum of Sillimanite Flour.